Following President Obama’s signing of S.764, which establishes a “National Bioengineered Food Disclosure Standard,” the Vermont Attorney General will no longer be enforcing Act 120, Vermont’s first-in-the-nation law requiring the labeling of food produced with genetic engineering (GE). Under the federal law, the U.S. Department of Agriculture has two years to draft regulations to implement the labeling standard. The Vermont Attorney General’s office intends to take an active role advocating for the federal regulations to give consumers the same access to information, in plain English, that they had under Vermont’s law. Welcome to the Vermont Attorney General’s Webpage on Labeling of Foods Produced with Genetic Engineering. In May 2014, the Vermont Legislature passed Act 120, the law that requires labeling of food produced with genetic engineering (GE). Foods produced with genetic engineering are also known as genetically modified organisms (GMOs). Act 120 may be viewed in its entirety here. In passing Act 120, the Legislature tasked the Attorney General with developing rules to implement the law. These rules clarify the scope and reach of the law, providing the specific requirements for the labeling of food, including size and placement of the required disclosures. Consumer Protection Rule CP 121 was adopted by the Attorney General’s Office on April 17, 2015. The Attorney General’s Office has also published an annotated version of the rule as additional guidance, as well as a memo regarding enforcement priorities. The Attorney General has also provided further explanation and information for manufacturers and producers, for retailers, and for consumers. Act 120 and CP 121 require all food produced with genetic engineering and offered for retail sale in Vermont to be properly labeled by July 1, 2016. Because some packaged, processed food products have longer shelf-lives, for six-months after the law’s effective date (until January 1, 2017) improperly labeled foods offered for retail sale in Vermont are presumed to have been packaged and distributed to the retailer prior to July 1, 2016. The manufacturer of such products shall not be liable for failure to comply with the law’s requirements unless there is evidence that the food was distributed to the retailer on or after July 1, 2016. No manufacturer, producer, or retailer will be granted any extension of time to come into compliance. 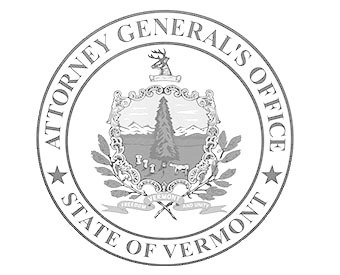 Receive Updates: To sign up for the Attorney General’s updates on Consumer Protection Rule CP 121, email your request to ago.GEFoodLabelingRule@vermont.gov.